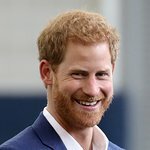 Prince Harry has become Patron of a charity race to the South Pole between three teams of wounded servicemen from around the world. The Prince, who last year joined a group of injured soldiers as they trekked to the North Pole, is now supporting the Walking With The Wounded South Pole Allied Challenge 2013. Groups of armed forces personnel from Britain, the United States and the Commonwealth – who sustained physical or cognitive injuries in the line of duty – will take part in the competition in November and December next year. During the four-week Antarctic expedition the racers will trek a total of 210 miles, drag sledges – known as pulks – weighing more than 150lb (68kg) and face extreme temperatures as low as -45C, along with savage 50mph winds. The Allied Challenge to the South Pole will combine five charities for injured servicemen and women from across the globe. Funds raised will be shared among the host organisation Walking With The Wounded (UK), Soldiers to Summits (USA), Soldier On (Canada), Soldier On (Australia) and Wounded Warrior Trust (New Zealand). Prince Harry said earlier this year: "The vision behind Walking With The Wounded, to reintegrate wounded servicemen and women successfully into civilian life, recognises the unquenchable spirit and drive of those young people. “It aims to harness their determination and energy, whilst adjusting their mindset to face the numerous challenges that lie ahead. A Walking With The Wounded team attempted to climb Mount Everest in May this year, but their expedition was called off as the five injured soldiers came across life-threatening avalanches and dangerous weather conditions. Last year four wounded servicemen successfully reached the North Pole in record time. Next year’s challenge, which will involve daily treks of between nine and 13 miles, has been predicted by polar experts to be the largest modern day expedition of its type. Edward Parker, co-founder of Walking With The Wounded, said: "The Walking With The Wounded South Pole Allied Challenge will demonstrate the close bond between the UK forces and our allies both on and off the battlefield.